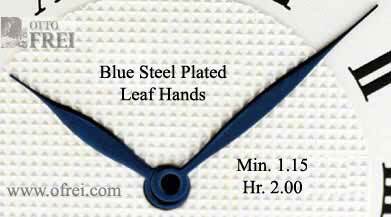 Fits Unitas 6497 & 6498 and other movements with holes sizes 1.15 for 16 mm minute length and 2.0 mm hour hole and 11 mm long. 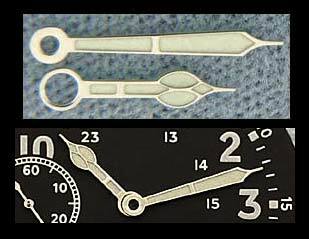 Japanese 8 Hour Light Green Luminous Material Fits Unitas 6497 & 6498 and other movements with holes sizes 1.15 for 14 mm minute length and 2.0 mm hour hole and 10.5 mm long. 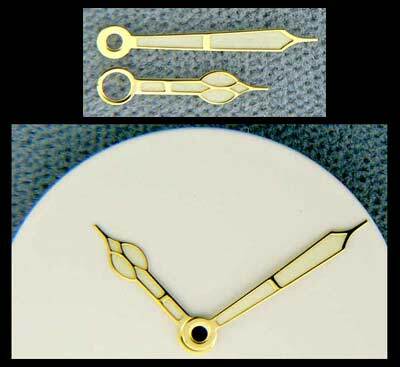 Swiss 6 Hour White Luminous Material Fits Unitas 6497 & 6498 and other movements with holes sizes 1.15 for 14 mm minute length and 2.0 mm hour hole and 9.5 mm long. 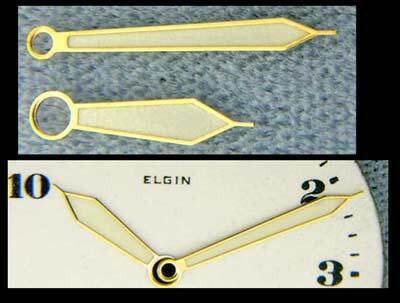 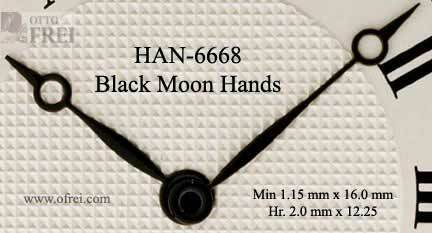 Fine quality luminous watch hands to fit the Unitas 6497 & 6498 and other movements with holes sizes 1.15 for 16 mm minute length and 2.0 mm hour hole and 11 mm long. 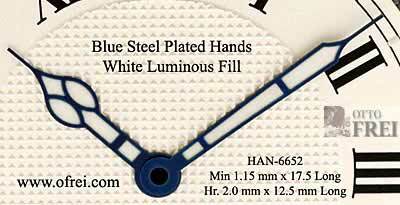 Swiss 6 Hour White Luminous Material Luminous watch hands, which fit the Unitas 6497 and Unitas 6498 movements along with all other movements with holes sizes 1.15 for 14 mm minute length and 2.0 mm hour hole and 9.5 mm long. 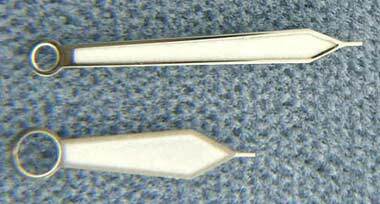 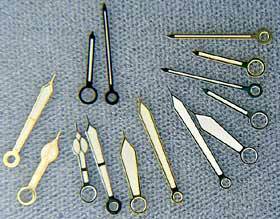 Large hole sizes for Unitas 6497 & 6498 minute hole size 1.15 should be able to open to 1.20 mm needed to fit Valjoux 7750.